Compared to previous versions, ZWCAD 2017 is capable of opening drawings 40.18% faster averagely, and the fluency of operation increases as much as 24.19%, which means that an 8-hour workload can be shortened to 6 hours, saving users a lot of time and human cost. Thanks to the hybrid technology, ZWCAD 2017 can be bold enough to say that it displays properly when some other software flash annoyingly and exhaust them. With ZWCAD 2017, users can continue non-stop operation throughout the day. 64bit support is an up-to-date new feature and it allows more users to use ZWCAD 2017 when more and more computers today are using 64-bit system. By taking advantage of the 64-bit system, ZWCAD 2017 can open much larger files and perform more stably compared to former versions. 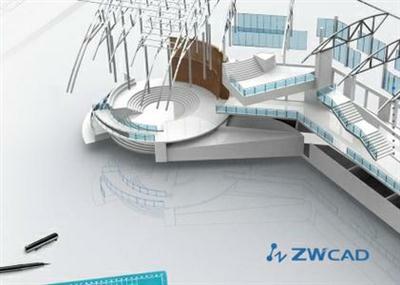 ZWCAD 2017 provides users a series of smart innovations. For example, with SmartMouse, executing a command by typing in the command box is not the only way. Now users can execute commands simply with a mouse gesture. Create new, draw an arc, draw a circle, erase a drawing, all can be done with one click. With SmartVoice, a powerful markup tool, users can record and add voice to drawings and share them to their colleagues. It is just that smart. When it is too difficult to tell the differences between two drawings, File Compare helps you automatically highlight what are different, even those can't be spotted easily. ZWCAD 2017 is built for more users with different needs. As a 2D DWG drafting tool, this time, ZWCAD 2017 provides an access to DGN files generated by MicroStation?, users can import DGN files to ZWCAD easily.